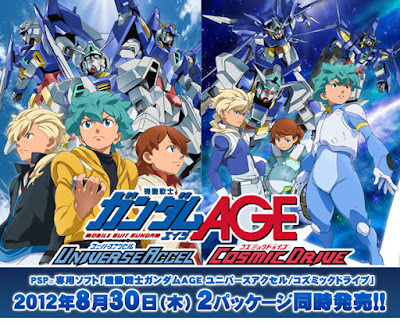 "From grandfather to grandson, Gundam Age takes viewer through an epic war. In Universe Accel and Cosmic Drive, viewers get to create their own characters and live through the turbulent period. The world changes from generation to generation, visit the different spots and talk to the familiar characters you have met in the anime during the RPG part and fight in the battle parts. 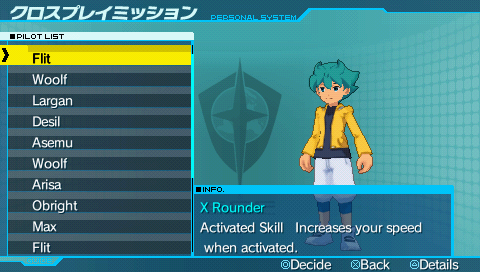 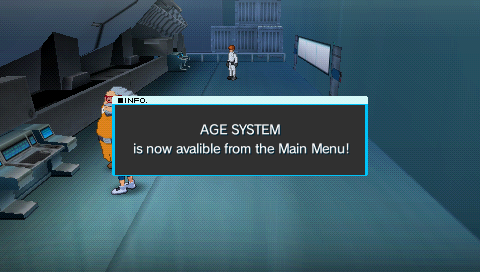 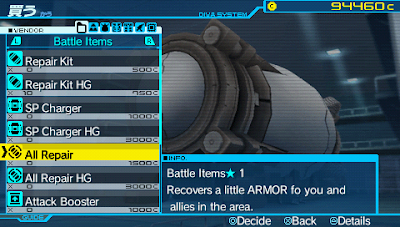 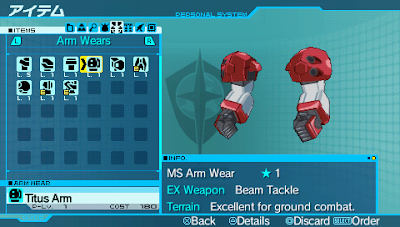 Unlike usual RPGs where you level up, in Gundam Age, you win Mission points to get better parts to upgrade your mobile suits. 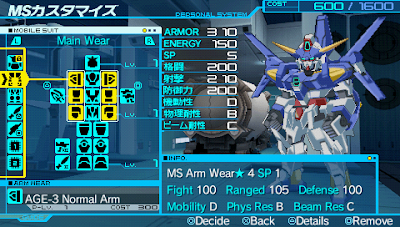 Of course you can build a stable of suits which you have seen in the show, but you can build a mobile suit of your own design as well. 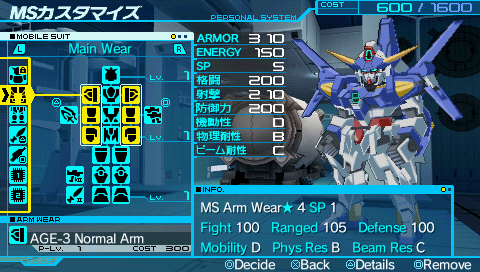 Different guest Mobile Suits appear in Universe Accel and Cosmic Drive, choose the one with your dream mecha."